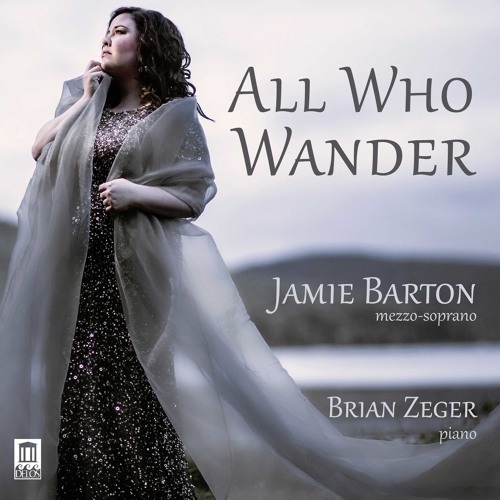 American mezzo-soprano Jamie Barton has a wonderful, characterful voice, with apparently effortless and even tone production and control. She seems to be able to spin out a quiet phrase – and just hold it for ever. Her voice dipped into a lower tessitura as she portrayed the creepy and lubricious knight of the Order of CalatravaThis was her Wigmore Hall debut, more or less coinciding with the release of her first CD of songs by Mahler, Dvořák and Sibelius, entitled All Who Wander. The album has a linking theme, as explained in Barton's extensive liner notes: to find one's inner gypsy, and to “break free from the trappings of society”. It is a telling, promising statement. Perhaps the song on the record which encapsulates best what Barton can do is Sibelius' “Säv, säv, susa”. She conveys its arched structure from repose to violence and back again with real conviction, and the final long vowels are unbelievable. In the sleeve notes, she also explains the appeal of songs: that they show “the fullness of our lives through moments that are often simultaneously raw and alluring, and always fascinating.” This approach was certainly there in her choice of opener, Turina's three songs from 1935 in homage to Lope de Vega. The way she handled the pay-off of the third song was justification enough for their inclusion. Her voice dipped into a lower tessitura as she portrayed the creepy and lubricious knight of the Order of Calatrava, whose desire is so intense it can pass through walls. Scary stuff. There were fascinating moments of a quieter variety too, occasions when a phrase was shaped, had an intelligence, a shape, a beauty, a definitiveness to it – such as the opening of Brahms' “Unbewegte Laue Luft”, or the ending of her second encore, Ernest Charles' “When I have sung my songs”. Her pianist James Baillieu (pictured right by Kaupo Kikkas) was subtle and supportive throughout, whether in the energy surge of Brahms' "Meine Liebe ist grün”, a faultless headlong dive, or the intriguing quirky postludes to the Charles Ives songs. It was also heartening to see that the Wigmore Hall's reduced price plan is having an enlivening effect. The seats in coach class were completely full. The energy and applause coming from the back were vociferous and matched the kind of atmosphere in this hall which is normally only there when it is packed throughout. The fascination of witnessing Jamie Barton develop as a singer of the song repertoire will be to see the transition from the kind of songs which show off the glory of her voice, to those in which she knows she can tell a story. Her Brahms "Von ewiger Liebe" – stating the obvious – does not yet quite have the compelling sense of a structure or authority that a Christa Ludwig or a Brigitte Fassbaender would have brought to to it. Still, Barton's development as song recitalist promises to be a fascinating journey.